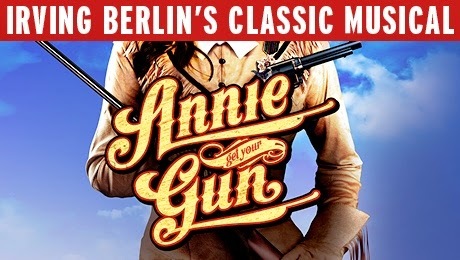 Just short of 70 years since it first premiered on Broadway, Irving Berlin's Annie Get Your Gun is truly a classic from the golden era of musicals. Set in the era of Wild West shows, the musical centres on heroine Annie Oakley (Emma Williams) and her journey from tomboy hunter, struggling to feed the family her mother left behind, to international sharp shooting star. From the minute Annie sets eyes on Frank Butler (Jason Donovan) she is smitten but soon realises he is the sharp shooter she has been employed to beat. Impressed by her skills Buffalo Bill invites her to join the Wild West show where Annie and Frank's love story sputters along before they live "scrappily ever after". 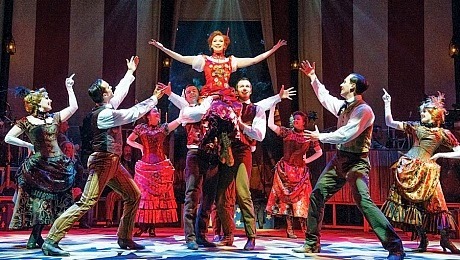 Emma Williams is a tour de force as heroine Annie Oakley. She turns the tomboy exterior on a pin when Annie first meets Frank and the naivety she injects into the part means it's absolutely impossible not to love Annie. Her Annie has an honesty and genuine heart that leaves the audience willing her to succeed. Williams is playful and positively sparkles in An Old Fashioned Wedding revealing Annie's feistier side. As Frank Butler, Jason Donovan plays the misogynistic role competently but is outshone by Williams, especially in Anything You Can Do where she outsings him with ease. However, they create a credible, sweet couple that the audience cannot resist. The young lovers Tommy and Winnie, Yiftach Mizrahi and Lorna Want are a beautiful pairing and create some showstopping moments of their own as they try to outwit Winnie's overbearing elder sister Dolly. Providing light relief, Chief Sitting Bull (Ed Currie) breaks the fourth wall with impeccable timing, building a relationship with the audience built on droll responses and knowing glances. The staging is beautiful in its simplicity with the musicians in full costume as part of the big top set. The big top festoons the stage drawing the audience into the sawdust-coated world of the show. Scene changes are called as part of the dialogue and the stage mutates into a variety of locations using two great tools - minimal staging and the audience's imagination. There's no 3D trucks or flashy gimmicks and the production is all the better for it. The rich colour from the costumes and excellent performances from the whole cast negate the need for a complex set that would jar with the traditional setting. As the audience leaves with There's No Business Like Show Business ringing in their ears, it's undeniable why this show has endured so well through the years and this exquisite revival is an unmissable opportunity to see this golden era musical shine.